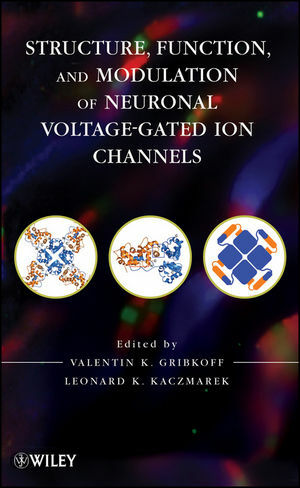 This book discusses voltage-gated ion channels and their importance in drug discovery and development. The book includes reviews of the channel genome, the physiological bases of targeting ion channels in disease, the unique technologies developed for ion channel drug discovery, and the increasingly important role of ion channel screening in cardiac risk assessment. It provides an important reference for research scientists and drug discovery companies. VALENTIN K. GRIBKOFF, PHD, is the Chief Scientific Officer and Senior Vice President of Discovery Research at Knopp Neurosciences. He is also an Adjunct Associate Professor in the Department of Pharmacology at Yale University School of Medicine. Dr. Gribkoff has published 100 articles and holds twelve patents. LEONARD K. KACZMAREK, PHD, is a Professor in the Departments of Pharmacology and Molecular and Cellular Physiology at Yale University School of Medicine. Dr. Kaczmarek has edited or authored two books and over 200 articles. He has served on the editorial boards of The Journal of Neuroscience, Journal of Molecular Neuroscience, The Journal of Experimental Biology, and New Biologist. PART 1 NEURONAL VOLTAGE-GATED ION CHANNEL FUNCTIONS. 1 Neuronal L-Type Voltage-Gated Calcium Channels (Alexander Scriabine and David J. Triggle). 2 Voltage-Gated N-Type and T-Type Calcium Channels and Excitability Disorders (Elizabeth Tringham and Terrance P. Snutch). 3 Voltage-Gated Sodium Channels: Multiple Roles in the Pathophysiology of Pain (Sulayman D. Dib-Hajj, Bryan C. Hains, Joel A. Black, and Stephen G. Waxman). 4 The Role of Ion Channels in the Etiology and Development of Gliomas (Amy K. Weaver and Harald Sontheimer). 5 Shaker Family Kv1 Voltage-Gated Potassium Channels in Mammalian Brain Neurons (Helene Vacher and James S. Trimmer). 6 Unique Mitochondrial Ion Channels: Roles in Synaptic Transmission and Programmed Cell Death (Elizabeth A. Jonas). 7 Regulation of Neuronal Excitability by the Sodium-Activated Potassium Channels Slick (SLO2.1) and Slack (SLO2.2) (Valentin K. Gribkoff and Leonard K. Kaczmarek). PART 2 MODULATORY MECHANISMS AND INFLUENCES ON NEURONAL VOLTAGE-GATED ION CHANNEL FUNCTION. 8 Alternative Splicing of Neuronal Cav2 Calcium Channels (Diane Lipscombe, Summer E. Allen, Annette C. Gray, Spiro Marangoudakis, and Jesica Raingo). 9 Effect of Hypoxia/Ischemia on Voltage-Dependent Channels (Xiang Q. Gu, Hang Yao, and Gabriel G. Haddad). 10 In Vivo Roles of Ion Channel Regulatory Protein Complexes in Neuronal Physiology and Behavior (Smitha Reddy, Mohammad Shahidullah, and Irwin B. Levitan). 11 Regulation of Neuronal Ion Channels by G-Protein-Coupled Receptors in Sympathetic Neurons (Mark S. Shapiro and Nikita Gamper). 12 BK Channels: Regulation of Expression and Physiological Impact (P. Kundu, A. Alioua, Y. Kumar, R. Lu, J. Ou, E. Sanchez-Pastor, M. Li, E. Stefani, and L. Toro). 13 Structural Basis for Auxiliary KChIP Modulation of Kv4 Channels (KeWei Wang and Jijie Chai). PART 3 DRUG DISCOVERY TARGETS AND TECHNOLOGY. 14 Sodium Channel Blockers for the Treatment of Chronic Pain (Mark R. Bowlby and Edward Kaftan). 15 Neuronal Kv7 Potassium Channels as Emerging Targets for the Treatment of Pain (Steven I. Dworetzky and Valentin K. Gribkoff). 16 Small-Molecule Modulators of Large-Conductance, Calcium-Activated (BK) Channels (John E. Starrett Jr.). 17 High-Throughput Screening Technologies in Ion Channel Drug Discovery (Edward B. Stevens, Andrew D. Whyment, and J. Mark Treherne).